So, this features the wardrobe in its entirety. 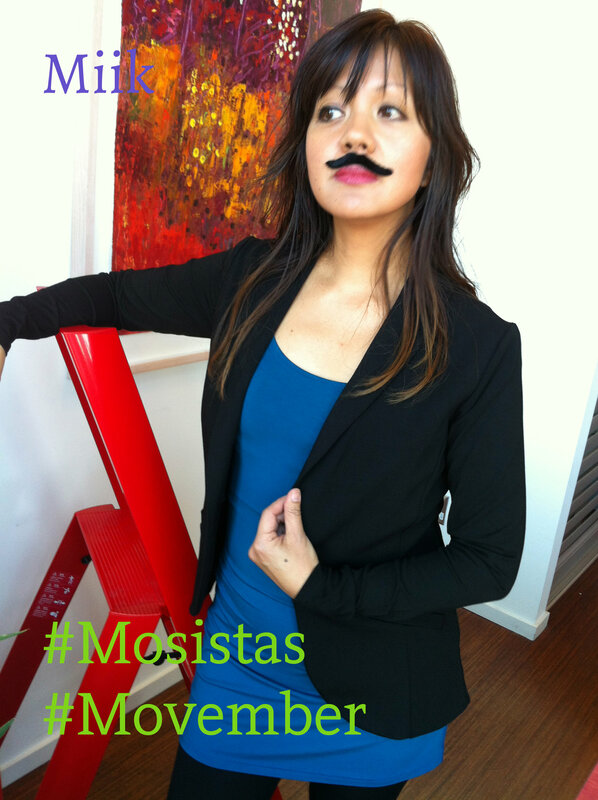 I hope you liked my version of promoting #Movember. I’m gonna go shave now! Go to Miik, buy some amazing clothing. 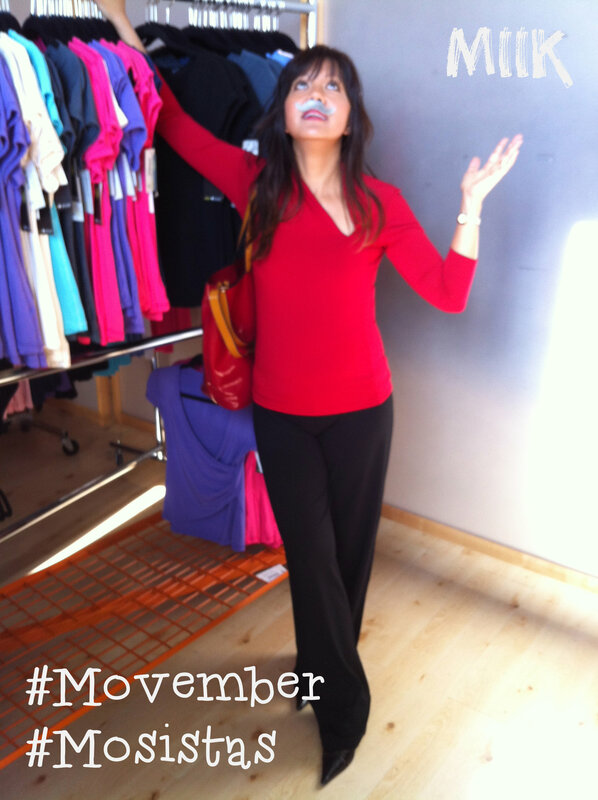 And 10% of online sales this month go to Movember! Terry Pleated Skirt in black. Details here. Olivia Cowl-Neck Colour-Block Dress in black and deep purple. Details here. Maria Hourglass Seamed Top in red. Details here. Hanna Banded Tunic-Length Skirt in black. Details here. Lisa Leggings in black. Details here. Patty Casual Pant in black. Details here. Madeline Asymmetrical Top in Red. Details here. Dale Shoulder-Detail Dress in Navy. Details here. Emily Soft Blazer in black. Details here. Sandy Tunic Tank in Teal. Details here. 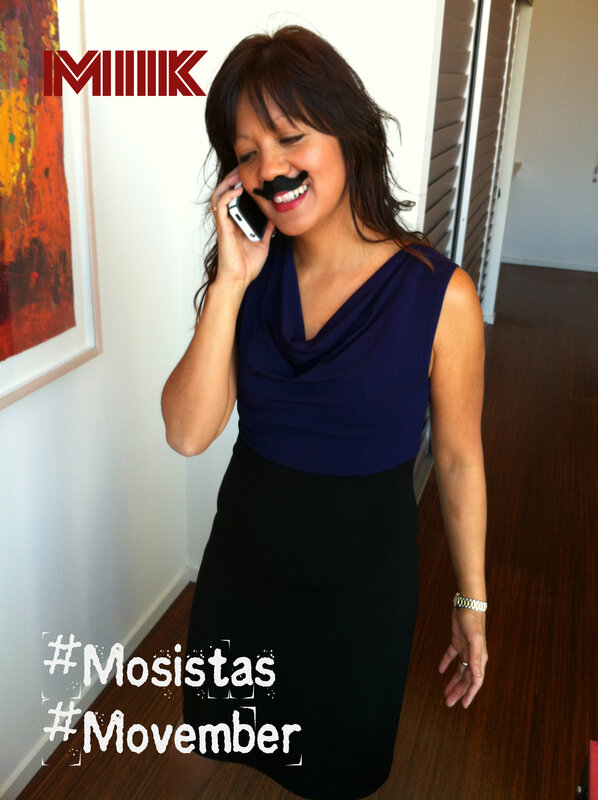 It was a fun #Movember. Thanks for your support. See you next year! Miik designs simple yet striking clothing for active women who don’t want to sacrifice comfort to look great. Using sustainably sourced fabrics like bamboo, Miik creates pieces that feel unbelievably soft against your skin and are flattering on so many body types. Once you try on Miik you’ll never want to wear anything else! Miik is designed, milled and sewn in the Toronto area. Visit www.miik.ca for a complete list of retailers or to shop online. Visit Miik for a complete list of retailers or to shop online. I feel like General Custer in this pose. I’m starting to think I could do this for a living… maybe not. Yeah, you think so? Nah! So back to the clothes. I wore this Emily jacket in the very first post. It looks formal but it can also be worn casually. And the back drapes nicely over your backside for nice “emphasis”.